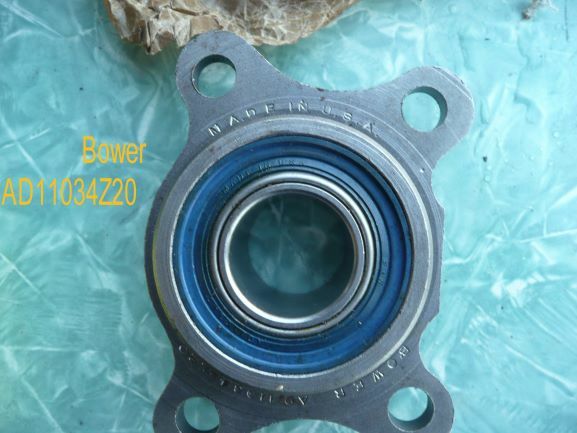 WE have 2 63-63 axles with US made Bower bearings part # AD11034Z20 Rafman sells the bearings for $239.00 each. We also have 2 used axles with serviceable bearings. Asking $300 each for axles with new bearings and $100.00 for serviceable axles. If you don't already have a spare to carry with you on long trips you are in for trouble if you lose one. Edited 2 time(s). Last edit at 04/20/2019 08:16AM by MattNall. Also all 4 axles are for 63-64 cars. The NOS bearings with axles, the serviceable bearings with axles, or both?